Great opportunity to get in to a profitable AND absentee owner run pizza restaurant. This restaurant has CPA prepared profit and loss statements to prove profitability. If you are looking to get in and be a part of the operations this place will absolutely provide the type of income you have been looking for. As a completely absentee owner run location this restaurant has had growing profits of $25,853, $55,707, and $83,606 over the last three years. Gross sales have been over 700k in each of the last three years as well. Adding back the industry standard of 50k for a working owner and you will be looking at approximately 133k last year and 105k in 2015, this place is a money maker. Currently this is a franchised location and seller has paid over 30k in franchise fee's each of the past three years. Could you use an extra 100k over three years? Change the name and keep the change! The restaurant is a huge hit with the local community and is a neighborhood favorite, check out the online reviews and you will see how popular they have become. Built from the ground up at a cost of over 500k, this restaurant is a dream come true for absentee owners and even more so for owners looking to be involved in the daily operations. The restaurant is in near new condition as the current owner requires his management and employees to keep the place spotless and operate the business like they own it. 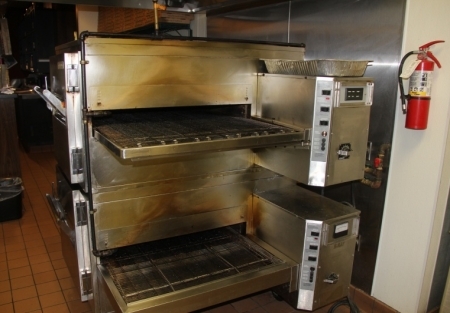 Kitchen is fully equipped for high volume pizza operations with two Middleby Marshal conveyor ovens, 60 Q Hobart, large walk in cooler along with a convenient reach in cooler, refrigerated prep tables and everything else you need for a high volume pizza restaurant. Two station POS system is in place along with a security system allowing a very close eye to be kept on operations when you are not in the restaurant. The restaurant is 2400 sq. feet with rent of $5735 plus NNN. Total rent is $7435 or approximately 12% of of monthly sales, right where you want to be to allow for cash flow. Current lease term expires Aug 2019 and there are two five year options available to secure the space through 2029. Come see this great San Diego pizza restaurant opportunity in person today and see if it's the place you have been waiting for.